This week marks a milestone for the Wii in Japan, and shows that the poor GameCube just wasn’t that loved by anyone. 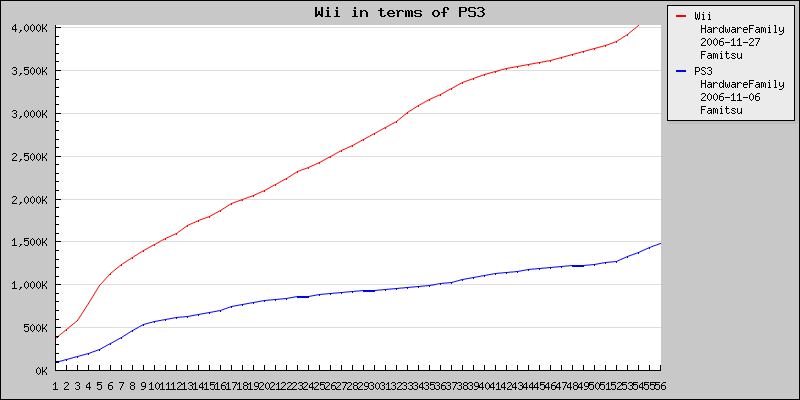 The Wii is at 4,025,356 unit sold (in 54 weeks), which beats the Cube’s total sales in that territory. It is an amazing feat, and an even more amazing turnaround for Nintendo in the console business. To put things in better perspective, the Wii has reached what the DS reached in 53.7 weeks…so the platform is doing very well indeed. 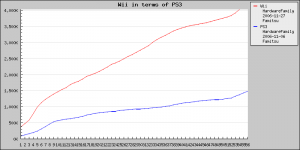 You can check out the chart below to see how the Wii is doing compared to the PS3.